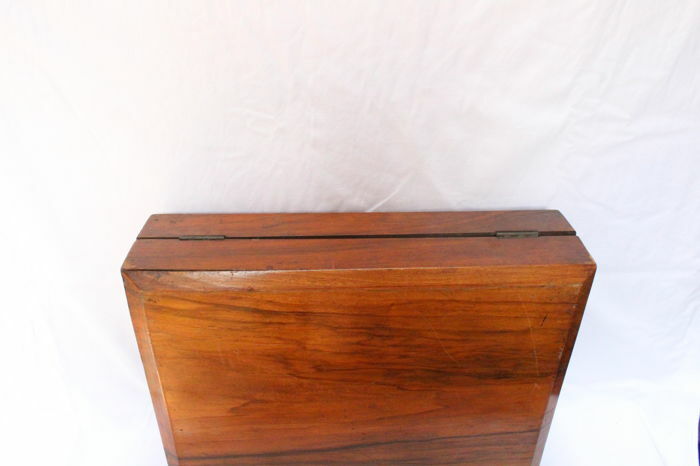 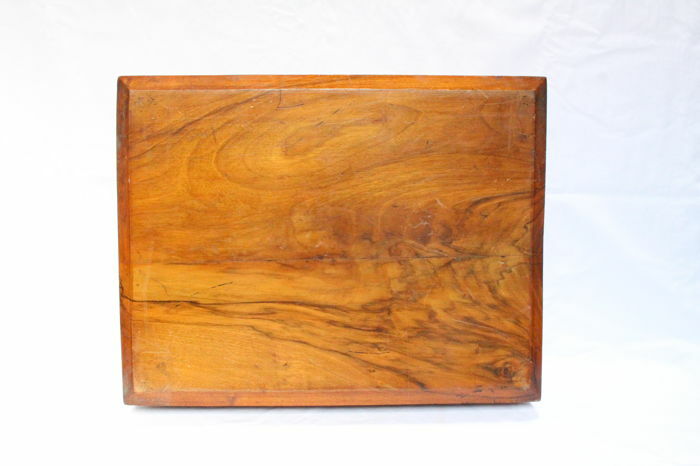 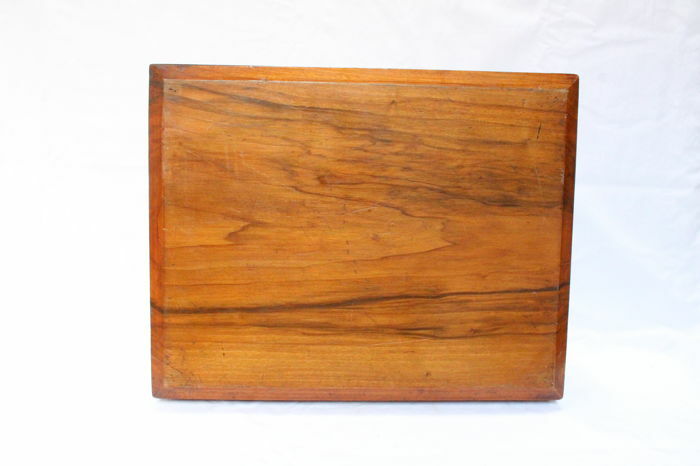 in good used condition,Mahogany wood. 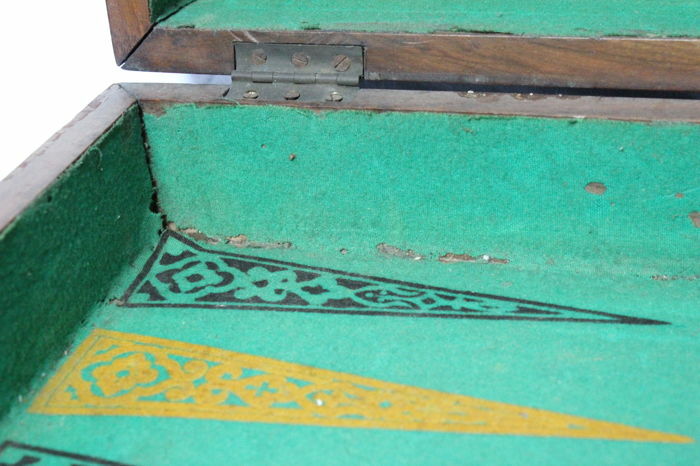 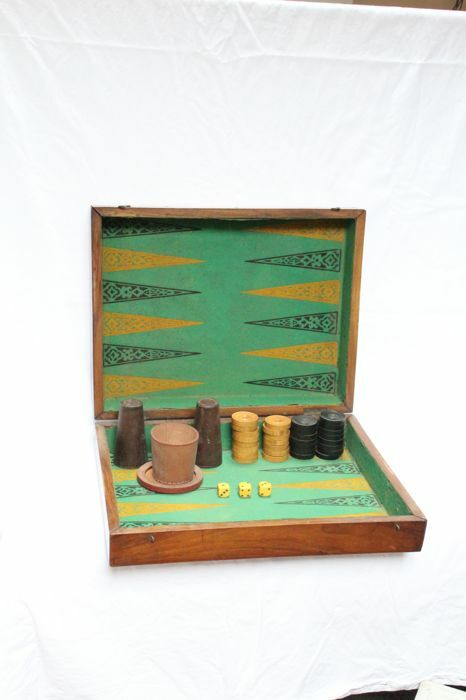 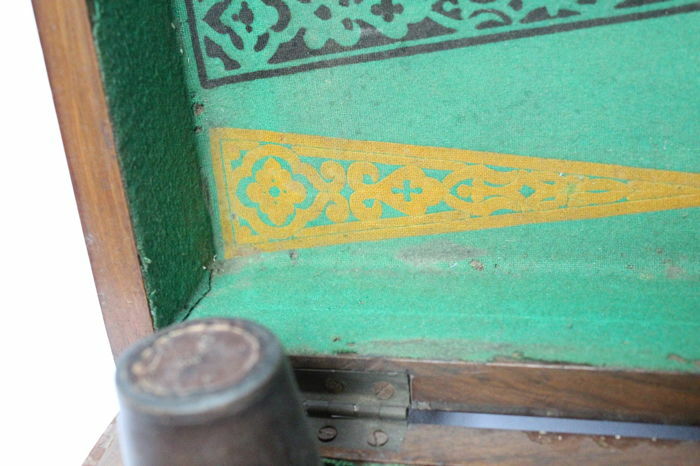 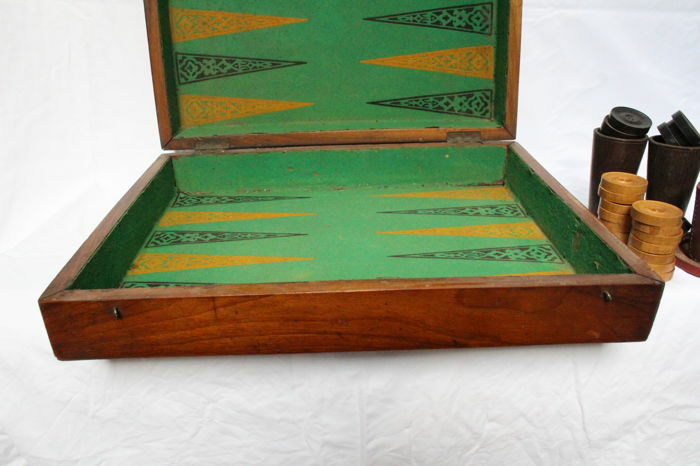 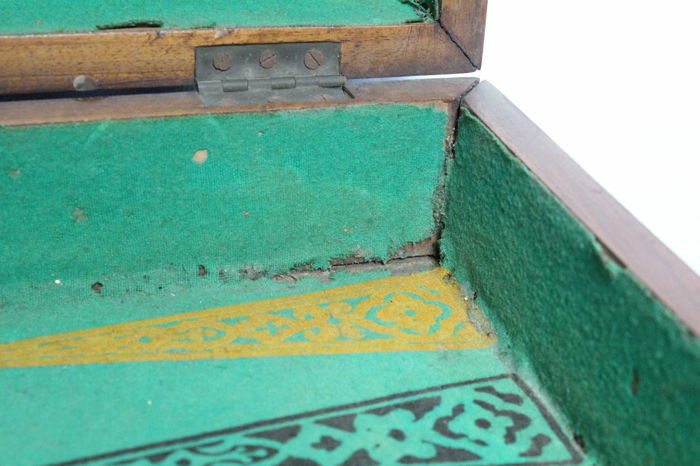 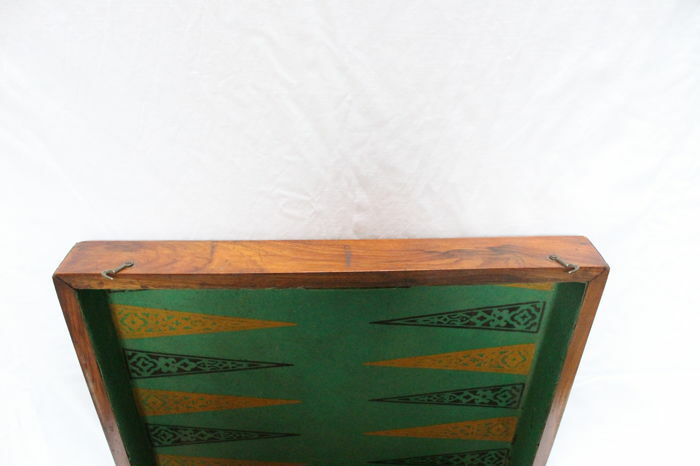 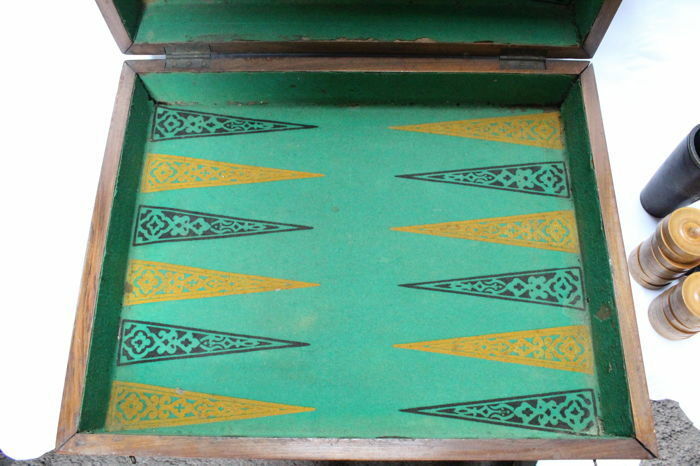 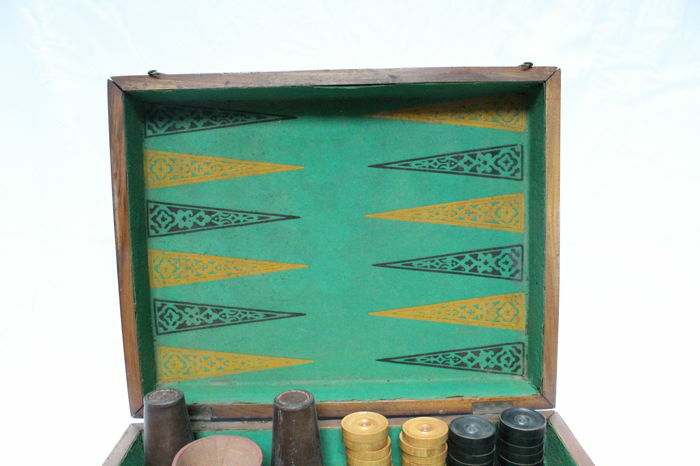 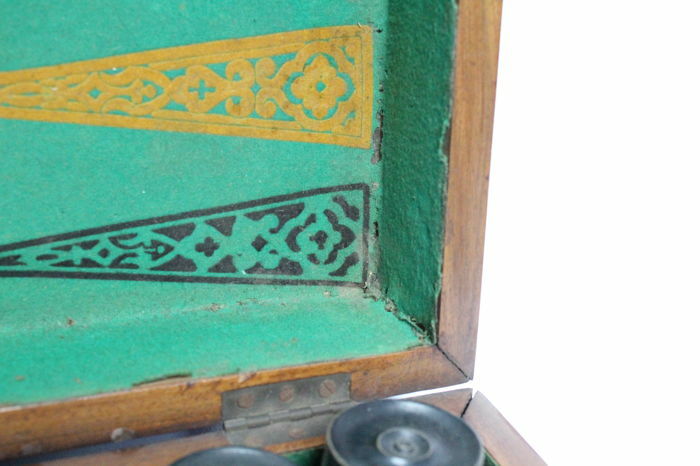 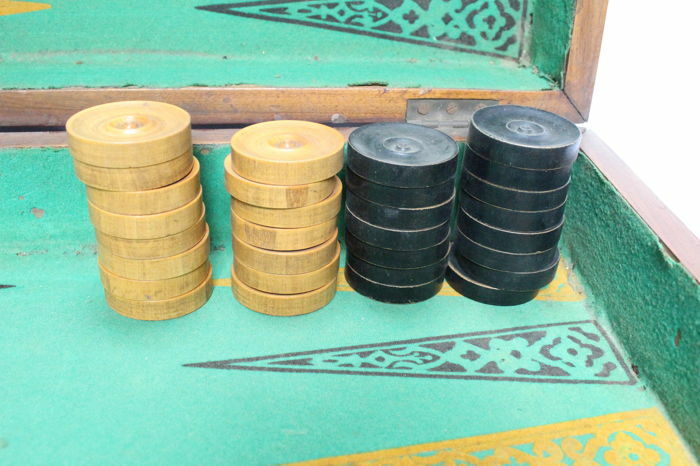 Very beautiful and classic backgammon play set. 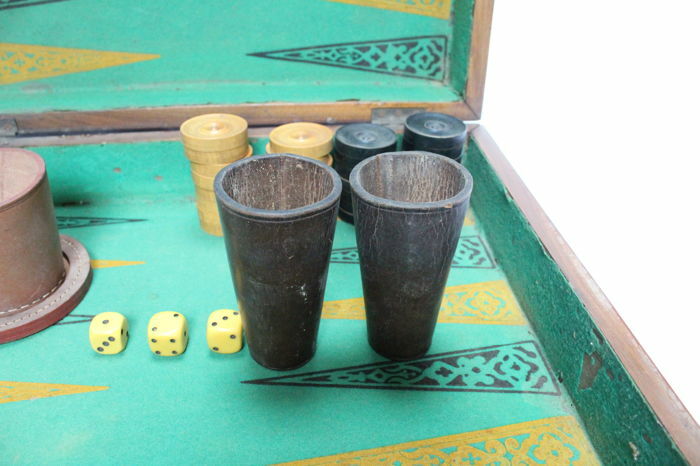 It have 15 beige pieces and 15 black pieces. 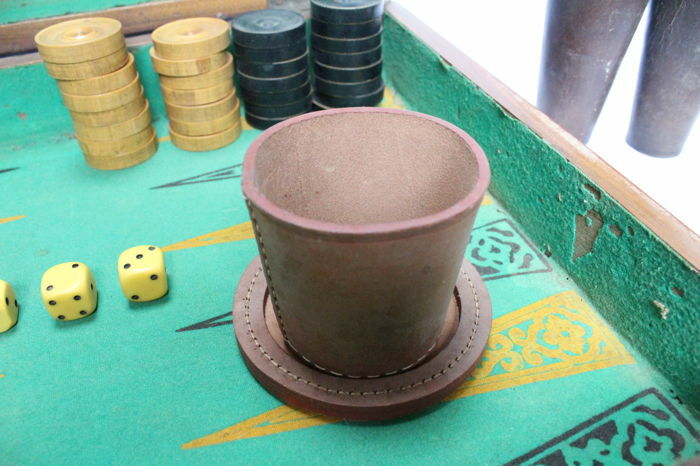 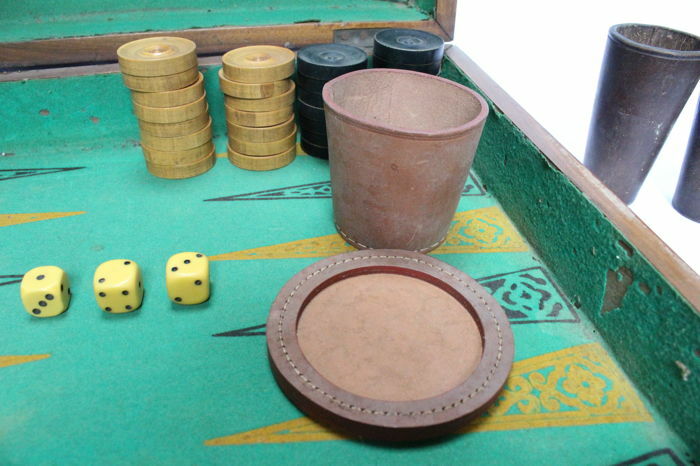 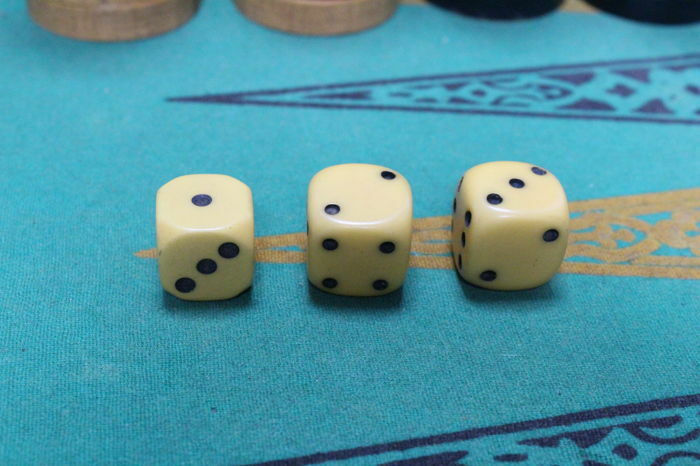 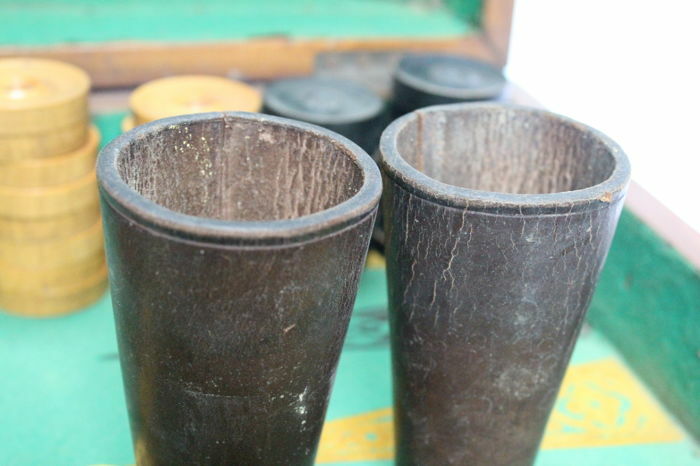 And two Leather cups with three dice. 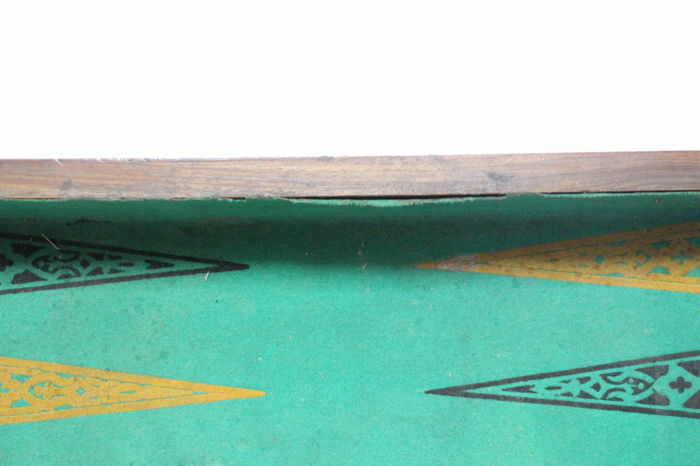 Shipping with track and trace code, carefully packed.